Delightfully darling, this short blue party dress is an amazing option for any casual occasion. 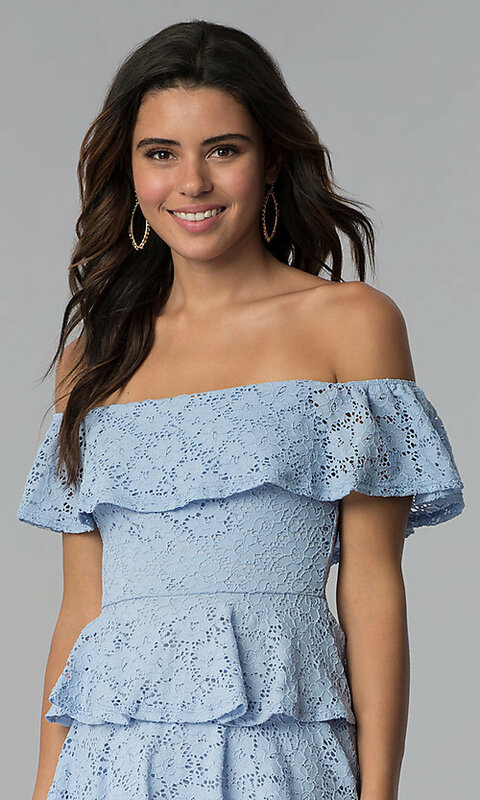 Light and airy lace provides an excellent foundation for the soft details of this design, adding appeal from the straight neckline to the short hem. 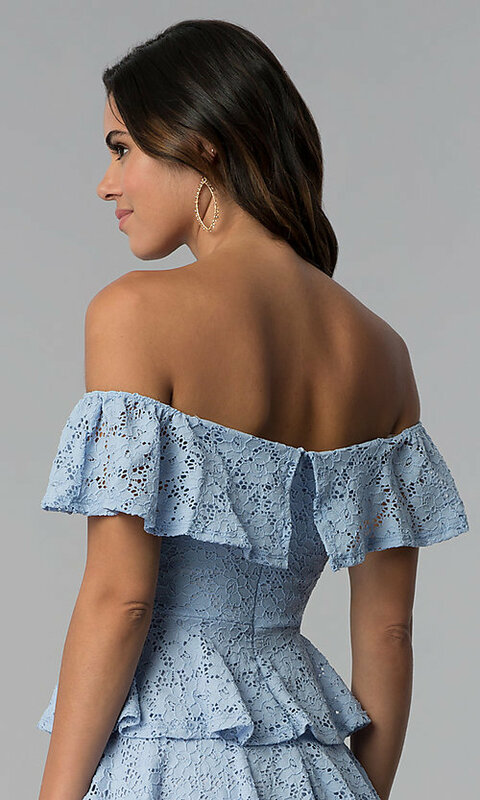 Billowing beautifully over the bodice, a layer of floral lace drapes down from the off-the-shoulder neckline and surrounds the arms with a ruffled flounce. 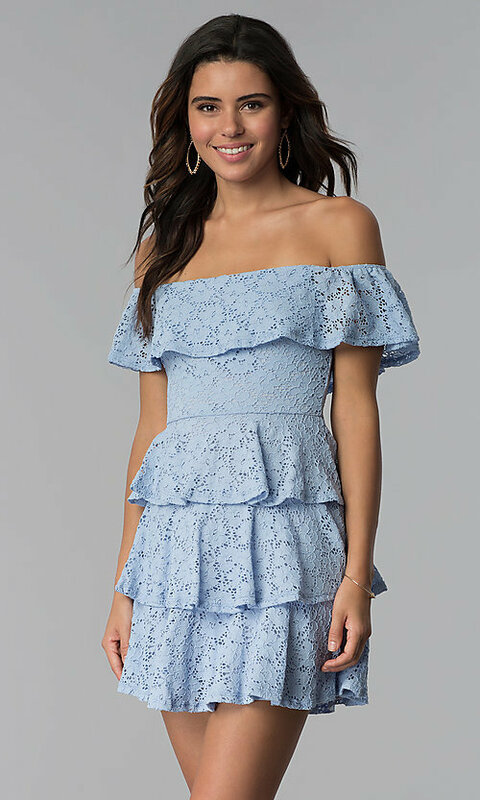 Floral patterns decorate the blue lace and pop against the sides of the arms. A coordinating lining hugs the body on the casual party dress. 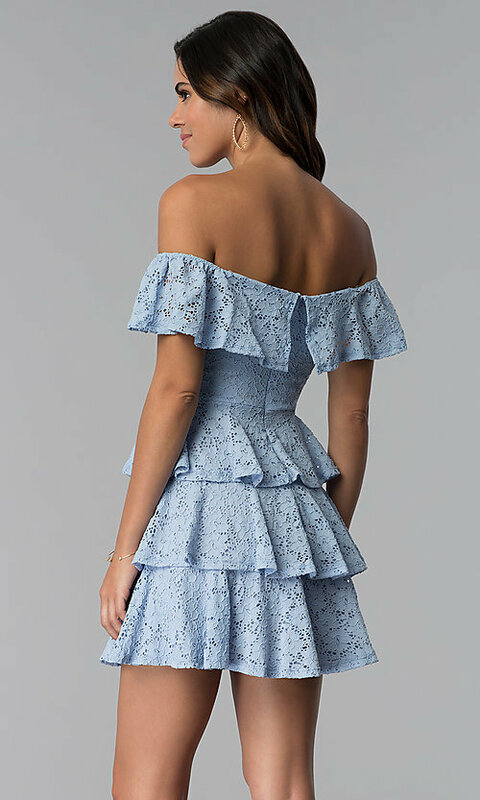 Below the ruffled flounce, a fitted bodice extends to the natural waistline where a seam accentuates the figure and the flirty skirt of the party dress flows over the hips in three full tiers to match the top.